Want To Increase The Quality of Thinking in Your Organization This Year? In today’s world of speed, complexity and lean budgets, we need everyone to think at their best. Yet, in many workplaces, people believe “whomever is highest on the org chart does the best thinking” or “we don’t have time to involve many people.” Yet, these assumptions can undermine the many things you are doing right to build highly engaged employees and high performing teams. One of most important responsibilities of a leader is to create an environment for success. Instructor: Sara B. Hart, Ph.D.
Dr. Sara Hart earned her Ph.D. at Northwestern University and then taught at Queens College in New York City. She spent 20 years at Pfizer where she was responsible for leadership, team, and organization development for the research division in the US. She also was head of HR at the research center in the UK. Sara received formal coaching training at the prestigious Hudson Institute of Santa Barbara and is one of only two certified Thinking Environment® instructors in the United States. She has worked closely with Nancy Kline, Author of Time To Think, and is the only faculty member of Time To Think in the US. She is the founder of Hartcom and is based in the San Francisco Bay Area. To learn more about Time To Think, visit http://www.timetothink.com. A Thinking Environment is the set of conditions under which people can think for themselves and think well together. It is founded on the belief that if you create a particular environment, people can and will think for themselves. A Thinking Environment is a foundation for improving group thinking and communication skills – core components of team effectiveness. A Thinking Environment is not just a theory or set of skills, it is a way of being in the world that enhances the ability for people to think. Introduces you to the Ten Components of a Thinking Environment and their nine applications. You will explore Thinking Pairs, Dialogue, Rounds, Open Discussion, Meetings, the Time To Think Council, Presentations and Facilitation. Any of these applications will help you turn groups and organizations into Thinking Environments. Size is limited to 12 participants. 2) THE THINKING PARTNERSHIP SKILLS OVERVIEW – Are you an external or internal coach or are you interested in working one-on-one with the Thinking Environment? This workshop is an introduction to the Thinking Partnership Session, a uniquely powerful process for liberating the human mind. Through generative Attention and the building of Incisive Questions, this process produces breakthrough, independent thinking. You will observe a full Partner Session and will participate both as Thinker (considering topics of your choice), and as Thinking Partner (practicing this elegant expertise). Size is limited to 6 participants. These high-value programs are being brought to Pittsburgh by Papinchak Consulting LLC and Severino Consulting LLC. We invite you to attend either or both workshops, depending on your interests. Contact Anne or Evy with questions or to learn more about how you can use Thinking Environment to bring your company’s values to life. 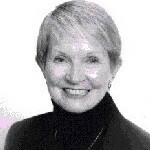 Anne Papinchak is a certified professional coach, with a passion for both team and leader development. As a senior leader and now as a consultant, her expertise is working in the white space, coaching and leading without direct authority across key functions to deliver results. Contact her at 412 445 5423 or anne.papinchak@gmail.com. Evy Severino is an ICF certified executive coach to successful leaders and teams who want to take performance to the next level. Bringing deep corporate experience and just enough tools, she makes the process fun, fast and sustainable for her clients. 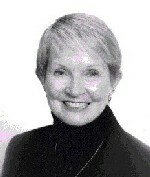 Contact her at 724 612 5235 or evy@severinoconsulting.net or www.severinoconsulting.net.